Department of the Interior Secretary Ken Salazar today announced that $14.6 million will be awarded to 28 states under the Clean Vessel Act grant program in 2009. The grants will be used to fund the construction and installation of sewage pumpout facilities and floating restrooms, to purchase pumpout boats and provide educational programs for recreational boaters. Since the program’s inception in the early 1990s, the program – administered by the U.S. 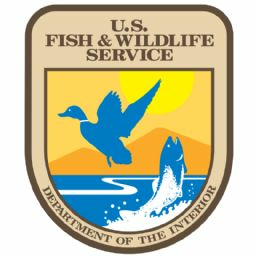 Fish and Wildlife Service – has awarded more than $163 million to states to install thousands of sewage pumpout stations. In addition, many states now rely upon mobile sewage pumpout boats to make the sewage collection process more efficient and convenient. A number of states also have begun installing floating restrooms and pumpout stations in high use areas of lakes and coastal waters. Funding for the CVA program comes from the Sport Fishing and Boating Trust Fund, formerly known as the Aquatic Resources Trust Fund, which is supported by excise taxes levied on certain fishing and boating equipment and boat fuels. "These Clean Vessel Act grants will help the states maintain clean and healthy waters for people and wildlife," said U.S. Fish and Wildlife Service Acting Director Rowan Gould. "Sewage pumpouts may not be the most glamorous conservation tool, but their presence can have an immediate and clear impact on the well-being of aquatic resources and recreational waterways that provide drinking water to millions of Americans." Alabama: $297,188 – The Alabama Department of Environmental Management plans to install ten sewage pumpout stations throughout the state for its inland and coastal waters. In addition, the agency plans to maintain efforts to inform boaters about the importance of proper sewage disposal and how it benefits the aquatic environment. Arkansas: $323,335 – The Arkansas Game and Fish Commission plans to purchase five sewage pumpout boats and install fourteen sewage pumpout stations. The grant will also provide funds for the operations, maintenance, repair and rehabilitation of existing sewage pumpout stations as needed to keep these stations functioning. Arizona: $150,000 – The Arizona Fish and Game Department plans to install at least five sewage pumpout facilities, eight dump stations, and purchase a sewage pumpout boat for use on inland waters. California: $3,130,000 – The California Department of Boating and Waterways plans to install eight sewage pumpout stations, purchase two sewage pumpout boats, and install up to ten floating restrooms throughout the state for coastal and inland waters. The agency will also continue its aggressive educational program to inform boaters about the importance of proper sewage disposal. Florida: $1,816,575 – The Florida Department of Environmental Protection plans to install more than 29 dual purpose sewage pumpout-dump station facilities for inland and coastal waters. The agency will continue its education and outreach efforts with boaters to stress the importance of proper sewage disposal. Georgia: $63,432 – The Georgia Department of Natural Resources will install two sewage pumpout facilities and purchase a sewage pumpout boat for its inland and coastal waters. Idaho: $95,000 – The Idaho Department of Parks and Recreation plans to replace or renovate approximately four sewage pumpout stations. Illinois: $112,500 – The Illinois Department of Natural Resources plans install up to five sewage pumpout stations throughout the state, dependent upon the needs of the state’s marina operators. Indiana: $495,482 – The Indiana Department of Environmental Management plans to install eight sewage pumpout stations and one floating restroom and to continue efforts to inform boaters about the importance of proper sewage disposal. Kansas: $32,250 – The Kansas Department of Wildlife and Parks plans to fund the installation of a sewage pumpout facility at Perry Lake. Kentucky: $124,469 – The Kentucky Department of Fish and Wildlife Resources plans to install a sewage pumpout facility, purchase one sewage pumpout boat, and renovate one sewage pumpout facility along the Ohio River, Lake Cumberland, and Dale Hollow Lake. Louisiana: $90,000 – The Louisiana Department of Wildlife and Fisheries plans to fund the purchase of a sewage pumpout boat and a mobile sewage dump station for use on Lake Pontchartrain and Bayou Castine, as well as continue education efforts throughout the state on proper sewage disposal. Massachusetts: $1,343,772 – The Division of Marine Fisheries plans to install sewage pumpout facilities, purchase seven pumpout boats, renovate two pumpout boats, and provide operation and maintenance funding for existing sewage pumpout boats and facilities throughout the state’s coastal waters. The agency will also continue its educational efforts on proper sewage disposal. Michigan: $100,000 – The Michigan Department of Natural Resources plans to fund the installation of four sewage pumpout facilities on coastal waters and continue its education and awareness efforts for proper sewage disposal. Minnesota: $337,500 – The Minnesota Department of Natural Resources plans to install five sewage pumpout stations at marinas throughout the state and to educate boaters about the importance of proper sewage disposal and its importance to the environment. Mississippi: $143,500 – The Mississippi Department of Marine Resources plans to install five sewage pumpout facilities throughout the state at coastal and inland sites. Missouri: $48,000 – The Missouri Department of Conservation plans to install new or replacement sewage pumpout facilities at three or four marinas in the state’s waters as needed. New Hampshire: $210,370 – The New Hampshire Department plans to install four sewage pumpout facilities at coastal and inland sites. New Jersey: $588,888 – The New Jersey Department of Environmental Protection plans to install 18 sewage pumpout facilities, purchase one sewage pumpout boat, and educate boaters about proper sewage disposal. New York: $1,270,007 –The New York Department of Environmental Conservation plans to purchase 31 stationary sewage pumpout units, three sewage pumpout boats, and 31 dump facilities for portable toilets; and to install two floating restrooms throughout the state’s inland and coastal waters. In addition, the state plans to provide operation and maintenance funds for existing facilities to ensure their availability for recreational boaters. North Carolina: $194,875 – The North Carolina Department of Environment and Natural Resources plans to install four new sewage pumpout facilities and twelve dual purpose sewage pumpout-dump facilities throughout the state’s coastal waters and continue efforts to inform boaters about the importance of proper sewage disposal.